Annick Press has partnered with Open Road Integrated Media to produce digital versions of 34 illustrated children’s titles. 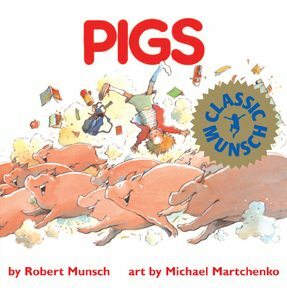 The U.S. digital publishing and multimedia outfit will publish and market electronic versions of classic Annick titles such as The Paper Bag Princess, Pigs, and Mortimer, all written by Robert Munsch and illustrated by Michael Martchenko; The Mole Sisters series by Roslyn Schwartz; Red is Best by Kathy Stinson, illustrated by Robin Baird Lewis; and Together by Hazel Hutchins and Alice Priestly. The books will be available for purchase starting this summer through Kobo, Google Play (formerly Google eBookstore), OverDrive, Amazon, Apple’s iBookstore, BarnesandNoble.com, and the Sony Reader Store. Open Road has also been the digital publisher of choice for Kids Can Press, which has collaborated with the company to put out e-versions of the popular Franklin and Scaredy Squirrel series.